There are a lot of interesting items to see when out traveling. And it isn't always the sunrise, sunset or the scene on the horizon. Jut walking down streets, one can run across some interesting tidbits, whether it is signs or items on display for sale. A visit to New Orleans turned up a good truism and an excellent play on words. One of the signs pictured has to do with "quality of life" or one could say "quality of work." And the saying is, oh, so true. Although at times we take the inexpensive (or cheap route), when after all is said and done, we wished we had taken the other path. The 'Good Work' saying was painted on the side of an automobile. A couple other signs were posted on the outside of a store on Decatur in New Orleans. The wording makes it easy to figure out exactly what is being offered. And then there wasn't a sign at all, but the flour-white hands and arms of the individual making beignets at the Cafe Du Monde. Check out my wife's blog Retirement Daze for additional photos. 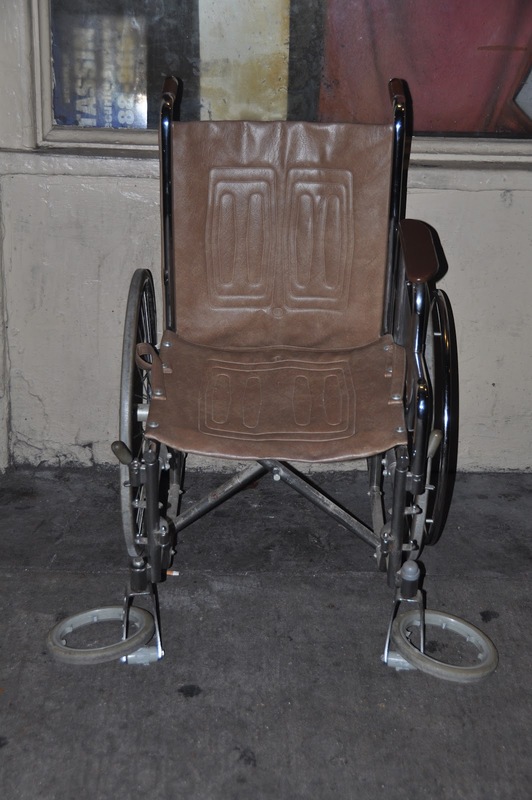 And for a really good look at something handicapped, what else but a wheelchair.